The Daily Mirror, often referred to simply as The Mirror, is a British tabloid daily newspaper. It is the only British national paper to have consistently supported the Labour Party since 1945. Emphasizing the sensational, as it has done since its early days, the Mirror has often achieved the highest circulation of daily papers in Britain. It was founded by the Harmsworth brothers, (launched by Alfred and subsequently bought by Harold the pioneers of popular journalism in Great Britain. Originally intended as a paper for women, the Mirror initially became popular due to its pictorial approach. Later, however, to combat decline during the 1930s, it was transformed from a conservative, middle-class newspaper into a sensationalist left-wing paper for the working class. In this form it proved highly successful and has been one of the publications that educated and informed the general public, greatly contributing to raising the level of awareness of newsworthy events in the British people, a nation that continues to be a major leader in the world. However, with such influence comes responsibility, and the Mirror has not always taken sufficient care to establish the truth of its news, and thus runs the risk of leading the public astray. 1.3 "Open to the Public"
The Daily Mirror was launched on November 2, 1903, by Alfred Harmsworth (later Lord Northcliffe) as a newspaper for women, run by women. It was not successful, and in 1904 he decided to turn it into a pictorial newspaper, appointing Hamilton Fyfe as editor, who then fired all the women journalists. With its innovative use of photography and populist right-wing politics, the relaunched Mirror rapidly established itself with a circulation of more than 500,000. Harold Harmsworth (Lord Rothermere) bought the Mirror from his brother Lord Northcliffe in 1913, when it had a circulation of 1.2 million. Circulation continued to grow. By 1930 the Mirror was selling more than one million copies a day and had the third-largest sales among British national newspapers, behind only the Daily Express (owned by Lord Beaverbrook) and the Daily Mail (also owned by Rothermere). Rothermere used the Mirror for his own political purposes just as he used the Mail. 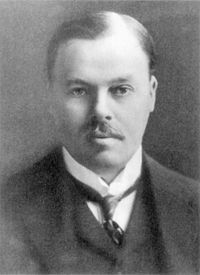 Both papers were an integral part of his joint campaign with Beaverbrook for "Empire Free Trade" in 1929–1932. The Mirror, like the Mail, gave enthusiastic support to Oswald Mosley and the British Union of Fascists (BUF) in 1933–1934, support that Rothermere hastily withdrew after middle-class readers recoiled at the BUF's violence at a rally at Olympia. By the mid-1930s, however, the Mirror was struggling—it and the Mail were the main casualties of the early 1930s circulation war that saw the Daily Herald and the Express establish circulations of more than two million and Rothermere decided to sell his shares in it. His withdrawal paved the way for one of the most remarkable reworkings of a newspaper's identity ever seen. With Cecil King (Rothermere's nephew) in charge of the paper's finances and Guy Bartholomew as editor, in the late 1930s the Mirror transformed itself from a gently declining, respectable, conservative, middle-class newspaper into a sensationalist left-wing paper for the working class that soon proved a runaway business success. The Mirror was noted for its consistent campaign in opposing the appeasement of Adolf Hitler. By 1939, it was selling 1.4 million copies a day. During World War II, the Mirror positioned itself as the paper of the "ordinary" soldier and civilian, critical of the incompetence of the political leadership and the established parties. In the 1945 general election it strongly supported Labour in its eventual landslide victory. By the late 1940s, it was selling 4.5 million copies a day, outstripping the Express; for some 30 years afterwards it dominated the British daily newspaper market, selling at its peak in the mid-1960s more than five million copies each day. One of the most "open" publishers of tabloid newspapers, the Daily Mirror arranged regular tours of its printing presses at the Holborn Circus site in London, built on the site of the former Gamages department store. At the time it was one of the most technically advanced printing works in the world. Visitors were taken on tours of the entire production process and shown everything involved in producing a newspaper: the linotype machines where text was entered, the lead-melting plant where the curved leaden printing plates were cast before being attached to the cylindrical printing-press rollers, the huge reels of newsprint (paper), and the presses themselves. The Mirror's mass working-class readership had made it the United Kingdom's best-selling daily tabloid newspaper, but it became complacent about its success. In 1960, it acquired the Daily Herald (the popular daily of the Labour movement) in one of a series of takeovers that created the International Publishing Corporation (IPC). The Mirror management did not want the Herald competing with the Mirror for readers and in 1964 relaunched it as a mid-market paper, the Sun. When it failed to win readers, the Sun was sold to Rupert Murdoch who immediately relaunched it as a more populist and more sensationalist tabloid competitor to the Mirror. In an attempt to cater for a different kind of reader, the Mirror launched the Mirrorscope pull-out section in January, 1968. It attracted some attention in the industry. The Press Gazette printed "The Daily Mirror launched its revolutionary four-page supplement Mirrorscope. The ambitious brief for the supplement, which ran on Wednesdays and Thursdays, was to deal with international affairs, politics, industry, science, the arts, and business." The British Journalism Review said in 2002 that Mirrorscope was "a game attempt to provide serious analysis in the rough and tumble of the tabloids." Despite innovative articles, it failed to attract any significant numbers of new readers, and the pull-out section was abandoned. Since then, the story of the Mirror has been one of continuous decline. By the mid-1970s, the Sun had overtaken the Mirror in circulation, and in 1984 the Mirror was sold to Robert Maxwell. The import of heavyweight columnists and writers with a following, like Paul Callan from the Daily Mail sat uneasily with the perceived need to compete with The Sun. After Maxwell's death in 1991, the Mirror went through a protracted crisis before ending up in the hands of Trinity Mirror. In subsequent years, the paper's circulation was overtaken by that of the Daily Mail. Trinity Mirror is based at One Canada Square—the focal building in London's Canary Wharf development. The Holborn Circus site is now occupied by J Sainsbury plc. During the 1990s, the paper was accused of dumbing-down in an unsuccessful attempt to poach readers from Murdoch's Sun, and was widely condemned in 1996 for publishing a headline "For you, Fritz, ze Euro 96 is over!" (regarding England's match versus Germany in the 1996 European Championships) complete with mocked-up photographs of Paul Gascoigne and Stuart Pearce wearing tin helmets. During a couple of periods in its history—1985 to 1987 and 1997 to 2002—the front-page masthead was changed to The Mirror. The standard Daily Mirror returned though. In 2002, the Mirror changed its logo from red to black in an attempt to dissociate the paper from the term "red top," a term for a sensationalist mass-market tabloid. It also tried blue on occasion. On April 6, 2005, however, the red top came back. In 1978, the paper announced its support for a United Ireland. The Mirror expressed opposition to the American war to depose Saddam Hussein and to the presidency of George W. Bush. Under editor Piers Morgan it was the only tabloid newspaper in the UK to oppose the 2003 invasion of Iraq and ran many front pages critical of the war. The tabloid gained notoriety in the United States after the re-election of George W. Bush for a second term as President, with its November 4, 2004 cover. It trumpeted, "How can 59,054,087 people be so DUMB?." In May, 2004, the Daily Mirror published what it claimed were photographs of British soldiers abusing Iraqi prisoners at Abu Ghraib prison. The decision to publish the photos, which were subsequently shown to be hoaxes, led to the eradication of Morgan as editor on May 14, 2004. The Daily Mirror then stated that it was the subject of a "calculated and malicious hoax." The newspaper issued a statement apologizing for the printing of the pictures, with the front page headline "Sorry.. We Were Hoaxed." In his autobiography The Insider, based on diary entries from the time, Piers Morgan defended the Mirror against accusations that the photos were published without any detailed background checks of their origin because of the paper's opposition to the Iraq War. He wrote that the decision to publish the photos was a difficult one and extensive consultation was made prior to their publication. Cartoon strips Just Jake (1938-1952), Andy Capp, and The Perishers. The latter ended in 2006 upon the death of its creator Maurice Dodd. The "Old Codgers" letters page. Chalky White, who would wander around various British seaside resorts waiting to be recognized by Mirror readers (an obscured photo of him having been published in that day's paper). Anyone who recognized him would have to repeat some phrase along the lines of "To my delight, it's Chalky White" to win £5. Marjorie Proops's problem page "Dear Marje." Investigative reporting by Paul Foot and John Pilger (notably the latter's exposé of the atrocities of the Khmer Rouge in Cambodia). The Shopping Basket—starting in the mid 1970s, the paper monitored the cost of a £5 basket of shopping to see how it increased in price over the years. The Sunday Mirror is the Sunday edition of the newspaper. It began life in 1915 as The Sunday Pictoral and changed to become the Sunday Mirror in 1963. Trinity Mirror also owns The People (once Sunday People). ↑ Press Gazette Back Issues 23.01.03 Press Gazette. Retrieved January 21, 2008. ↑ Harold Evans, Attacking the devil British Journalism Review Vol. 13, No. 4, 2002, pages 6-14. Retrieved January 21, 2008. ↑ For scans of the June 10, 1968 edition of Mirrorscope entitled Born Today: Tomorrow's Man see Page 13, Page 14, Page 15, and Page 16 Retrieved January 21, 2008. ↑ How can 59,054,087 people be so DUMB? Daily Mirror. Retrieved January 21, 2008. Morgan, Piers. "Daily Mirror statement in full" CNN World. May 13, 2004. Retrieved January 21, 2008. This page was last modified on 2 April 2008, at 05:31.